Since the Pastoral Plan was finalized in June 2015, we have made considerable efforts to implement strategies outlined in the plan. Since July 2016, we have revamped our efforts and in consultation with the leadership bodies of the parish (Pastoral Council, Finance Council and Pastoral Staff) we will continue the prioritization and implementation process. The final plan can be read by clicking on the link at right. This Plan was the result of seven months of Study Groups with the Best Practices for Parishes materials. The study groups were followed by three months of work by a writing committee comprised of Fr. Craig Forner, Sabrina Harper, Judith Greenalch, Deacon Rich Foley, Liz Vugrinecz, and David Rolandelli. At the April 2015 Convocation, small groups reviewed each of the seven themes. Revisions to the plan will be made and prioritization of the goals and strategies of the plan are the next steps. In 1992, the United States bishops provided a framework for Catholic evangelization in this country in their document Go and Make Disciples: A National Plan and Strategy for Catholic Evangelization in the United States. Since the election of Pope Francis, and his message to Catholics to “bring our faith out of churches and into the streets”, there has been an increased excitement about this effort. Our parish community, like all parish communities, is called by the Lord himself to strive for excellence in the way we witness to our faith and serve others. Many things we do very well here at St. Matthias. However, in honesty, we have to admit that we are weak in other areas and some needed ministries are not present at all. 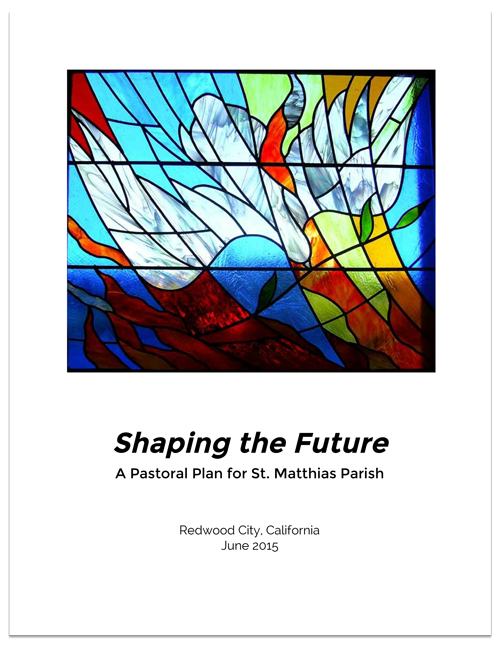 For 7 months, beginning in June 2014, we engaged in a process by which identified our parish’s strengths and weaknesses and then formulated a parish pastoral plan which will guide us into the years ahead. We began this process with a Parish Convocation on May 18, 2014. About 60 members of the parish community were in attendance for the Convocation. Follow the link to read Fr. Craig’s keynote address from the 2014 May, Convocation Talk. Our study groups examined seven areas of parish life.